This book must be published! We know too little in the West of what it meant to grow up under a mid-20th century Communism which promised a world far better than what had come before. 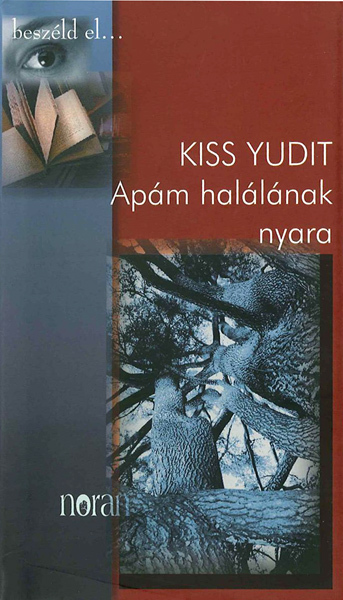 In this remarkable memoir, the Hungarian-Swiss economist, Yudit Kiss uncovers the paternal history that shaped her own, even while she was unaware of it. The journey is riveting. I was very taken and impressed by it (…) it reflects the atmosphere, the struggles of those years (…) the authentic presentation of the changes of Jewish-Communist identity has a historic value. It shook me profoundly (…) not only the upsetting richness of the relationship between father and daughter, but the internal development of the narrator also had a deep impact on me. Very interesting, very beautiful and I am particularly moved by it. Few texts have moved me as much as your writing about life during the hell of 1944 in Budapest. (…) Your words certainly helped to change my haze of this unlikely world. (…) "The summer my father died" is enjoyable and shocking, among others, because it tells my story as well! 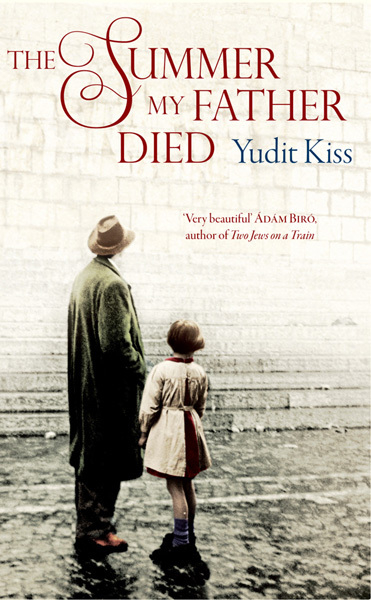 In 2013 'The Summer My Father Died' was recommended reading in the Independent Foreign Fiction Prize list of the British Booktrust. "A moving and insightful memoir, excellently translated by George Szirtes ..."
“... a colorful chronicle (…) It is particularly interesting to learn how she embraces her almost forgotten Jewishness during a visit to Kraków and what she thinks about the “ethnic cleansing” perpetrated by the Serbians during the Bosnian War, but a conversation with a Gypsy boy about Seneca in the Budapest metro and another one with a Spanish anarchist who recommends to Kiss the reading of Arthur Koestler are also worthy of attention. The English critic who called this book “a remarkable memoir” is altogether right, thanks, among other things, to its very fluent rendering into English by the prizewinning Hungarian-born English poet George Szirtes. "...a lively, very interesting book that emerges from our real world, with captivatingly rich details. A book of genuinely Eastern European dimensions." " It is the level of perception that raises the book, the sense of meaning as it deepens and becomes at once more tender and more icy. This tenderness and iciness, it proclaims, is what it means to be human. More than that - if there can be more than that for a human - it is meaning. " " …cruel confrontation with the father, with the period, with the unpronounced words. This book tells us about illness and death, but also about life and ideals in the shadow of the 20th century, in this Europe full of confusions. " " The literary transformation of the autobiography by a detached, calm narrator, and the level of its integration into the concrete historical and political context recalls Gyorgy Konrad's book: "Departure and return". "...the dynamic, captivating style, the rich metaphors and associations help the reader to identify with this moving story. " "...telling this family history, in its center with the figure of the father, the professor, a determined communist to his last breath, and his daughter, whose gradual awakening is also related; presenting the "Communist version" of the Jewish destiny, YK indeed tells an untold story, which, even though it has not been discussed, hovers above our everydays. " "...surprising, interesting, moving stories from the Hungarian history, the secrets of the past forced open…"
"... the material of the novel is treated with great maturity, with the intention of showing everything that is essential…"